The Southern California Stiga Table Hockey League sends the results of all five minute audio-timed table hockey games played to the International Table Hockey Federation (ITHF). 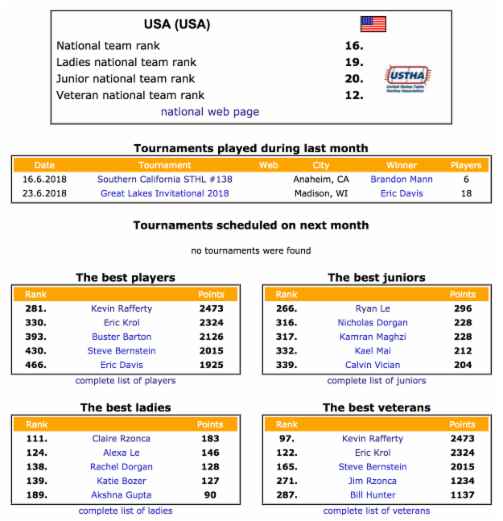 The ITHF compiles the results for all players, leagues, and tournaments held around the world. The ITHF creates rankings from these results.